Thousands of medical journals exist, and new ones are published each year. Curiously, despite a vast "market" for medical editors, the field has no career track, no training programs, no faculty, no schools, and no classes. Few medical students set out to become medical editors. Instead, editors spring from physicians of all stripes: those who like to write and have shown a propensity to do so; specialists and subspecialists skilled in their own domain; and physicians who have served as associate editors or as members of a journal's editorial board. With the exception of a few dozen journal editors who do their jobs full time, most medical editors work part time, sharing their editorial work with other research, education, and patient care duties. I write about editing from some experience. During my recent tenure as editor-in-chief of the New England Journal of Medicine I presided over 425 weekly issues of the Journal. I made countless decisions about which manuscripts to accept, which to reject, and which to revise. I edited manuscripts, sometimes extensively. With a staff of outstanding dedication and excellence, I introduced multiple new clinical features and initiated series of articles on many topics, including quality of care, delivery of health care, and the techniques of molecular medicine. I added enriching graphics, redesigned the Journal's format, introduced one of the first medical journal Web sites, and wrote more than 60 editorials. I shortened the time for handling manuscripts by a third and set a friendly tone between our editors and authors who sent us their work. Even though a career path to medical editing is rather nebulous, I would encourage medical students who aspire to spend part of their career as a medical editor. A medical journal is a special part of the world of medicine. 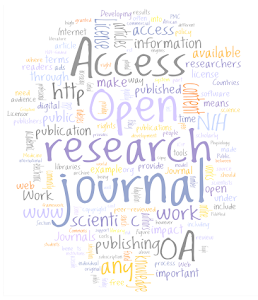 The reports of original research are a fundamental underpinning of most journals. Research projects are simply not complete unless the work has been subjected to evaluation by a researcher's peers, published in a journal, and exposed to criticism by the medical community. This process of peer review selects out papers that are authoritative, usually novel, and often important to the advancement of medicine. In turn, these papers become the foundation for further research and the basis of day-to-day medical practices. Often the process of successful editorial peer review and publishing is a critical determinant of an author's academic advancement. 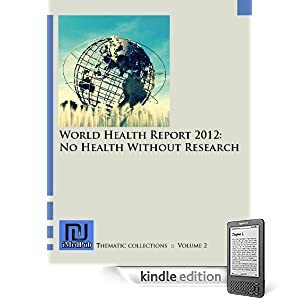 Another special purpose of a medical journal is to publish material that informs a variety of medical, social, economic, and political subjects such as abortion, assisted suicide, fatalities from handguns, and the medical use of marijuana. Because medical editors bear some of the responsibility for the reliability of published research and, in turn, for the care of patients, the health of the public, allocation of resources, and standards of medical ethics and professional behavior, editors must be trustworthy. Readers must believe that editors will make sound and even-handed decisions, that they will be open to many points of view, and that they will select or reject material only on the basis of merit, and certainly not for business or political reasons. To preserve this trust, an editor must avoid giving favors, must not be beholden to any special-interest group, and must be willing to publish articles on controversial subjects, even if they involve the organization that owns and publishes the journal. In order for editors to preserve freedom of action and expression, they must have no conflicts of interest that might bias them in choosing reviewers, making editorial decisions, or issuing public statements. Editors cannot be influenced by whether individual decisions will affect their journal's profitability, for example. Complete separation of editorial decisions from financial issues, therefore, is essential to ensuring the editor's independence. If it becomes known that an editor's judgment can be influenced by extraneous factors such as income from specific advertisements, the journal will lose the respect of its readers. Editors are often visualized sitting at a desk struggling over one manuscript after another. They do that, but they do far more. They think about how electronic publishing and emerging sources of information will affect their journal. They develop and adhere to certain principles of publishing that authors and journalists sometimes find irritating. They deal with endless calls from journalists about papers they are publishing. They must be creative in envisioning the future of their discipline; they must try to discern not only what their readers might want, but, more importantly, what their readers need. They watch the medical, social, and economic events that are shaping medicine. Like editors of newspapers, magazines, and other media, they have a bully pulpit that they can exploit to benefit medicine. By commenting on contentious issues and conflicts, a skilled editor can contribute to the important debates of the times. Few people will make their entire careers in medical editing, but many will spend years at it. If you have a creative spark and a love of language, if you derive pleasure from helping others improve their work, if you think that you can help inform the discussions about the future of medicine, and if you have thick skin, an editor's job is worth contemplating.